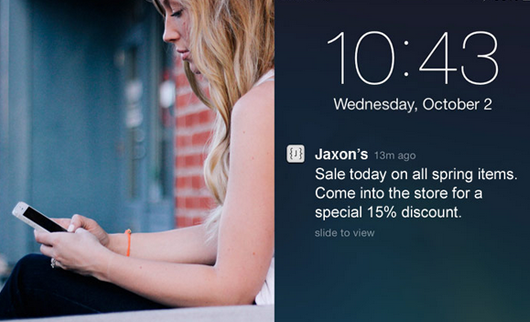 Push notifications are by far the most powerful form of marketing that you can use to increase your mCommerce sales. They allow you to reach out your customer wherever they are, to engage them with your app and to lead them to the right offer. But before I tell you how you can use push notifications to increase your mobile sales, let me first explain to you what they really are. Have you ever received a message on your phone that wasn’t a text, email or missed call? They come from apps you have installed as a way to reach you and engage with you. They work kind of like an email subscription. 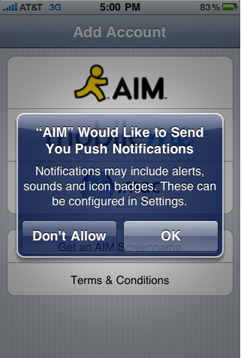 The user must “opt-in” and agree to receive notifications from the app. The good news is that the average opt-in rates for eCommerce are 46%, so you’ll manage to easily convert a big part of your users into subscribers. Once this is done, the publisher of the app can send messages to a smartphone. That’s why they are called push notifications, because the updates are initiated by the publisher, not the user. Push notifications are a powerful form of mobile marketing used by all sorts of eCommerce companies like Walmart, ASUS, Debenhams, Ladbrokes, etc. Push notifications are received on request of the publisher, not the user. This makes people want to check their phones when they receive one. Push notifications increase engagement and retention – They result in up to 26% higher mobile app open rates and 92% higher retention rates. Urban Airship conducted a study to find out how push notifications affect retention rate and engagement. They decided to compare the data of users who opted-in vs. those who didn’t for a 6 month period. What they found was that 6 months after the initial download, over 30% of users that received push notifications were still using the app. For comparison, only 20% of the users who didn’t opt in were using the app. Push notifications are better than email – According to a study made by Xtify, the open rates for push notifications vary from 30% to 60%, and interaction rates run as high as 40%. In comparison, the average open rate for email is 20%, and the average click-through rate is only 5.4%. This means, on average, push notifications are 2 times more effective than email campaigns. Push notifications lead to more sales – 50% of the people that sign up for push notifications do it in order to gain access to special or exclusive offers. In others words, these people are already looking forward to buying from you. According to recent research by Localystics, of the people who open push notifications, 54% convert from segmented push compared to only 15% for broadcast messages. This means you have a 300% better chances to convert if you use your analytics and segment your messages. How Do You Get People to Opt-in? In order to send push notifications to people who have installed your app, you need to get them to opt-in. In other words, people need to give you their permission to receive offers from you. Just like in email marketing, you shouldn’t market to people who didn’t agree to receive messages from you. Otherwise, you risk angering your users and cause them to uninstall your app. Ask them to opt-in immediately after they install the app – You have the highest change to turn people into subscribers the moment they have just installed the app and they’re opening it. Who will accept an opt-in invite 3 hour, 1 day or weeks after installation? Not many people. So ask for it right from the start. Present the benefits to opt-in – People will only subscribe to your push notifications if you promise to deliver some kind of value to them. It’s important to understand that what you find valuable and what your users find valuable might be two totally different things. So the first thing is to understand what they want to get from your app. Do they want to get discounts, special offers, recommendations, fashion advice, etc.? Talk to them. Use your analytics and learn what they want. Then present your benefits accordingly. Tell them exactly what they’re going to get if they opt-in. The more specific you are with your offer, the bigger chance you will have to convert users to subscribers. Don’t tell them they will just receive deals, tell them they will also get special offers with discounts up to 70%. Give them options – When users can choose from different types of notifications they can receive from you, they’re more likely to select those that appeal more to them. For example: a user might select that he wants to receive info on only “Deals” and that he doesn’t want to get “Company News” and “Updates”. This is great because you’ll be able to send him exactly what he’s looking for. When you don’t give options to users, they tend to think that you’ll spam them with too much information. That’s why they might decide to not opt-in at all. Another thing they might not appreciate is all of the information that they receive. They may want to edit it. 78% of users say they would immediately delete the app or disable the notification if they don’t like what they receive. So for better results, always give options to users. Use your analytics to learn which notifications are earning the most attention from your current subscribers to improve options and generate more opt-ins. This builds trust and users will be more likely to complete their subscription. Allow users to edit their preferences – Users should always be in control, otherwise you run the risk of aggravating them. Allow them to easily turn on or off push notifications whenever they want to. At some point, they might decide that they don’t want to receive any more notifications. Allow them to opt-out, otherwise you risk of them uninstalling your app. Know how often to post – Most of the people that implement push notifications get this wrong. They either post updates too rarely or too often. Some brands really overdo it. This causes people to unsubscribe and to also uninstall their apps, which results in lost sales. Others simply don’t post enough to engage users with the app and to convert them into paying customers. This really depends on your audience and their preferences. One to several times per day is okay, but don’t do it every hour. Also, be sure to post at least once every couple of days to keep your users engaged. Otherwise, they might forget that your app actually exists. Keep in mind the nature of your business and the time of year as well. It’s normal to send more messages on Black Friday and Cyber Monday. This is when people are actually searching for deals. Use local push – In case you might forget about this, people that live in Europe might sleep when others are awake in the USA. It’s really annoying for users to receive messages in the middle of the night. So, don’t send them. What you can do instead is use local push. This means if you set up a campaign to be sent at 9 am, people will receive it at the time according to their time zone, not yours. Check this interesting report to understand better. This will help you increase open rates and conversions. Geo-targeting – This is targeting your audience according to their location. That way you can create deals that are more suitable for people who live in a certain city over another. If you have a nationwide store for clothes, you should know that people who live in New York will be more interested in buying jackets than those who live in Miami. Make it easy to turn off notifications – Allow people to easily turn off notifications easily if they don’t want to receive them anymore. If you do this, they will at least keep your app on their phone. Otherwise, they might just decide to delete it. Implement custom push sound – This one little thing will increase your open rates dramatically. This different sound is more likely to get people’s attention. After some time, they will recognize the sound of your push notifications, and this will make them even more interested in checking their message. This works great for apps that don’t send many push notifications. Otherwise, it might get annoying to the users. 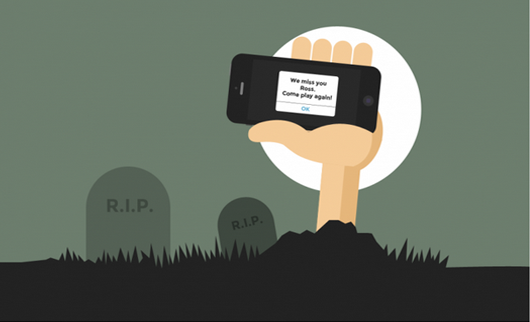 Expire pushes that lose relevancy – Not all push notifications stay relevant over time. Your deals might expire, so it’s best to delete pushed messages that don’t matter anymore. The worst thing for users, is to open a push notification for a 30% discount on shoes that expired 3 days ago. The best way to avoid this is to set the expiration date for your push in advance so you don’t forget about it. Use badge counts – This feature displays the number of notifications the app has received directly on an icon on the screen. This will remind users they have a unread message and they will be more likely to check it out. Now let’s focus on how to use push notifications to actually increase the sales that you make from your mobile app. Limited time offers & deals – Most of the people have probably subscribed for push notifications because they want to receive great deals from you. You can use your analytics to find out what it is that they like a lot, what they’ve been browsing, etc. Then you can send them a discounted offer exactly for that product. For the highest chance of conversion, it is best to make a limited time offer that expires after a few days. That way the user knows that he needs to take action now, otherwise he might miss his or her opportunity. Send reminder messages – One of the best things about push notifications is that you can use them to remind your users about your app. To do that you need to send them suitable messages that grab their attention and interest. One way to do this is with a special offer, but you can also do this by sharing an interesting tip, news, or anything else your target customer might find interesting. Don’t forget to wish them a happy birthday on their birthday or even Merry Christmas. Send them a discount on something cool on their special day and they will love you. Helpful content – You can send push notifications with content that’s valuable and useful to them to increase your engagement and trigger more sales. Use your analytics to understand what your users find interesting and personalize your messaging accordingly. For example, you can send a notification to allow users to browse products based on their last purchase, or when you release new products or a collection in your store. Cart Abandonment – Many users might add products to the shopping cart but they don’t finish the order. There are many reasons for that but mainly, people just get distracted by something else and they forget to finish the order. One of the easiest ways to get more people to finish their orders is to send them a push notification reminder about their unfinished order. Studies show that, on average, two-thirds of all orders can be recovered thanks to push notifications. For better chances of making the sale, lead your user straight to the shopping cart and let them buy with one click. 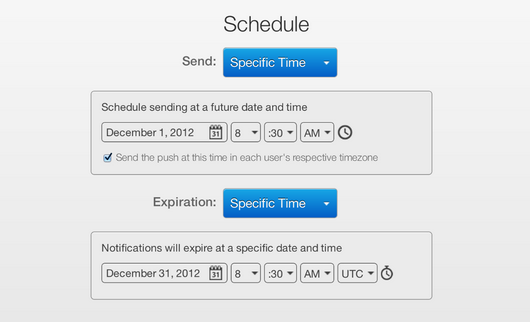 Here are some of the push notifications extensions from Pushflew you are use for your business. Push notifications are a power way of mobile marketing that can help you bring back users to your app, increase engagement, sales and retention. As a result, you will increase the lifetime value to your customers and the long term revenue of your company. You have no reason not to give them a try. 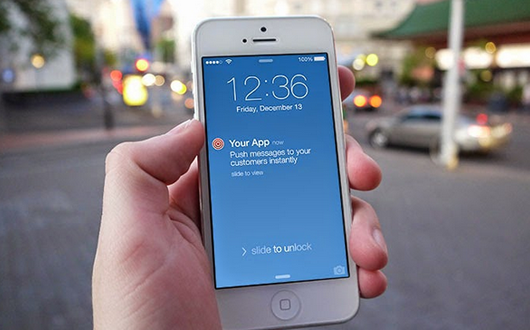 Have you used push notifications for your ecommerce app? What kind of results did you get? Let us know in the comments below.